Contract negotiations or disputes often seem to be a threat to a team’s season given the unwanted media attention such a matter demands and the divide in opinion in generates amongst supporters. Of course we are always interested to hear what the future holds for Liverpool but we can’t help be feel that business within the club would be smoother if it wasn’t revealed to the world. 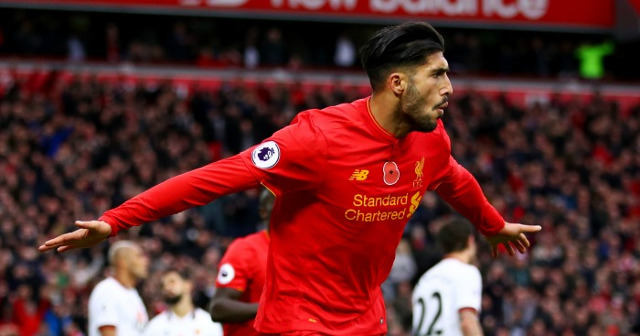 The entirety of Emre Can’s contract situation remains unclear and is likely to do so until an agreement is reached. He by no means comes across as a player ruled by money but that is seemingly the image many have created of him. Jurgen Klopp has addressed the situation after recent reports suggested the midfielder was reluctant to sign a new deal as he was seeking a more lucrative salary. The final stages of the season promise to not only have an impact on who we bring in during the summer transfer window but also who we let go. It’s up to Can to prove he is worth keeping hold of and a player worth putting our trust in for the next few years. No longer can the ‘prospect’ tag be applied to the 23-year-old. Now is the time to start seeing his best football.